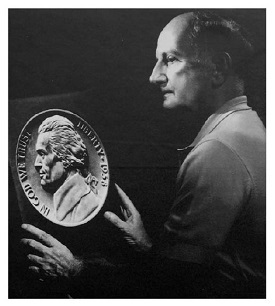 This site is intended to honor Felix Schlag, the German / American sculptor responsible for the design of the Jefferson nickel. It provides information about Mr. Schlag, the Jefferson nickel competition of 1938, and seeks to be a registry for the 150 Jefferson Proof Nickel Commemorative Certificates that were created and autographed by Schlag in 1939. Please come back often as we add new content. If you are writing or reviewing manuscripts pertaining to Felix Schlag and/or the Jefferson nickel competition of 1938, please feel free to contact us <info@FelixSchlag.com> if you would like to verify facts. Since 2012, when this project began, we have amassed nearly 1,500 pages of source material on the topic and are more than happy to assist those who want to get the story right. In 1939 Felix Schlag received 150 1938 Jefferson Nickels from the US Mint. He took these nickels, of proof quality, and mounted them in a certificate bearing his signature and had them notarized before distributing them to family and associates. Only a handful of the certificates have surfaced on the Internet in recent years and perhaps a few more have found their way to auction houses or antique shops. Through this site, we hope to be a central registry for these numismatic artifacts. The goal is to account for as many of the 150 as possible! If you have any information about the 150 certificates, please share it! Rest assured that all information provided will be held in strict confidence. 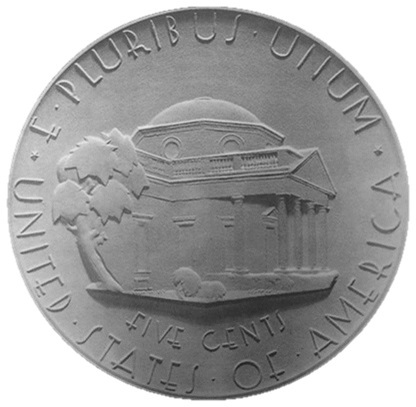 Born in Frankfurt am Main (Frankfurt on the Main River), Germany to Carl (Karl) Friedrich Schlag and Therese Josephine (Fischer) Schlag, Felix Schlag would come to the United States in 1929 and achieve national fame in 1938 for his winning design of the Jefferson nickel. A detailed and sourced timeline of Felix's life is available here. 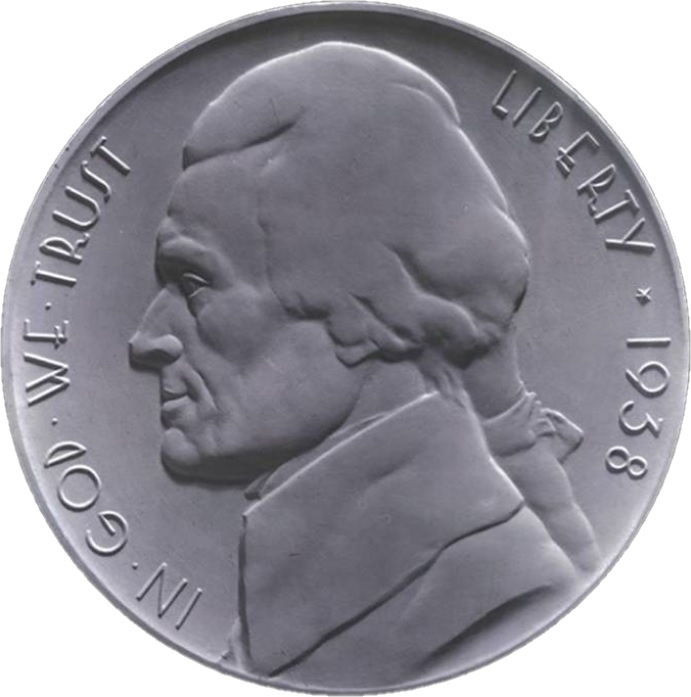 Many accounts of the origin of the Jefferson Nickel seem content to state that when the Indian Head or Buffalo nickel reached the end of its 25 year statutory required minimum life the United States Treasury held a design competition and Felix Schlag's submittal was selected from some 398 entrants. A much richer picture can be painted by studying the history of the period and understanding what may have been shaping the thoughts of the U.S. Government and the Treasury Department as they held this competition. Copyright (c) 2012-2019 www.FelixSchlag.com. All rights reserved.